NORWALK, Calif. – March 15, 2016 – The Cerritos College Hall of Fame inducted its 2016 class on March 3 at the DoubleTree Hotel in Norwalk. Cerritos College President/Superintendent Dr. Jose Fierro welcomed more than 300people to the dinner. Steve Richardson, executive director of the Cerritos College Foundation and Community Advancement, served as master of ceremonies. Attendees enjoyed a special meal planned and prepared by students and staff in the Cerritos College Culinary Arts Department. Associate Professor of piano/choral Dr. Christine Lopez and retired Vice President of Student Services Dr. Fran Newman entertained guests with a two-piano medley during the program. 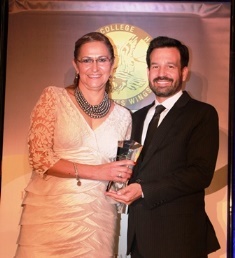 The eight inductees received special crystal awards and proclamations from the offices of Assembly Member Ian Calderon (District 57), California Senator Tony Mendoza (District 32), and Congresswoman Linda Sánchez (D-Calif.). Event sponsors included: Diamond Sponsors Edison International and Union Bank; Gold Sponsor Tilden-Coil Constructors; Silver Sponsors Atkinson, Andelson, Loya, Ruud & Romo, The Chugh Firm, GST, and Parker & Covert LLP; and Falcon Sponsors Marukan Vinegar, Dr. Gilbert Contreras and Mr. Gordon Stefenhagen. Arguably one of the best volleyball players in Cerritos College history, Teresa Velazquez-Ortega was the school’s first All-American, a two-time selection (1989-90), while earning the state’s Player of the Year honor her sophomore season. Upon completing her sophomore year, Teresa spent the remainder of her playing career competing in international tournaments. In 1991, Teresa was hired at Cerritos College in her current position as Locker & Equipment Specialist. She joined the Falcon coaching staff in 1993 before taking over as the head coach in 2000. In her 15 seasons as the head coach, she posted a 189-154 record and led her teams to the Southern California Regional Playoffs eight times. The most prolific goal scorer in Cerritos College men’s water polo history in his era, Danny Garcia scored 199 goals in his career (2001 & 2003 – since broken), which included a school record 103 goals (since broken) in his freshman season. He was a two-time All-American selection and parlayed that into a scholarship to California State University, Long Beach (CSULB). Upon graduation from CSULB, Danny took on the position of strength and conditioning coach with the Falcons and also served as an assistant coach. 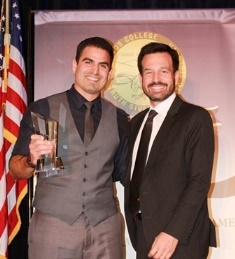 He continued his education at the Los Angeles College of Chiropractic and graduated with honors four years later. Dr. Garcia is currently a successful chiropractor and has his own practice, Garcia Chiropractic, in Costa Mesa. Jack Bogdanovich was the Cerritos College men’s basketball head coach from1983-1998. In addition to serving as a basketball coach, Jack was a full-time professor at Cerritos College from 1971-1998. In his first season as head coach, Jack guided his team to their first of three state championships. During his time as head coach, 98 of his student-athletes earned scholarships to four-year institutions. 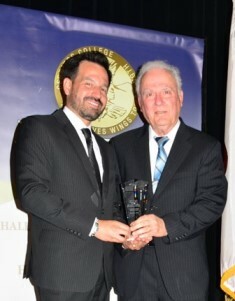 Jack was named the conference’s Coach of the Year six times, was inducted into the Community College Men’s Basketball Hall of Fame, and was inducted into the San Pedro Sportswalk to the Waterfront Hall of Fame in 2011. Tony Rodriguez Jr. attended Cerritos College after graduating from Artesia High School. After earning his associate degree, Tony transferred to California State University, Fullerton. Tony is a great example of what it means to give back to the community. He has taught, coached and been a guest speaker at the College. 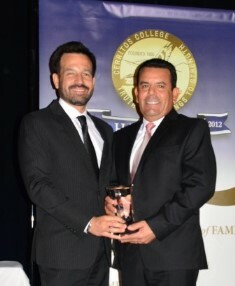 In 2013, Tony and his siblings established the Dr. Antonio and Providence Rodriguez Memorial Scholarship in memory of their father who was also a Cerritos College alumni and taught at Cerritos College for 30 years as a speech communication professor and their mother who supported their father’s journey to become a college professor. Tony owns and operates AJR Consulting Services in Long Beach. Debbie Thomas began working at Cerritos College in 1972 as a student hourly employee. She was subsequently hired full-time in 1975 until her retirement in December 2013. She served in a variety of capacities including Typist Clerk, Intermediate Typist Clerk, Media Services Clerk, Program Assistant I/II, and Staff Development Assistant. Debbie was also very active in CSEA and served as an elected officer in several capacities on the executive board including president. Well respected by her colleagues, Debbie was voted as the Classified Employee of the Month in July 1993 and November 2003 and as Classified Employee of Year in 2004. Since retirement, Debbie stays active by volunteering for the football booster club and Hall of Fame Steering Committee. Jon Fults began his teaching career at Cerritos College in 1968. During his tenure, Jon served as an instructor, department chairperson, and interim assistant dean of business education. Jon modified and added curriculum to keep pace with the needs of the computer industry, even authoring numerous textbooks. 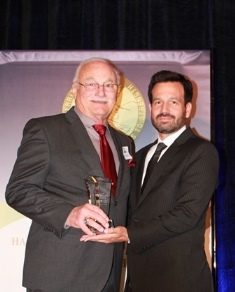 He was instrumental in obtaining grants and establishing training for faculty and students. After his retirement in 1993, Jon worked several semesters as an adjunct faculty member. He joined the Cerritos College Retired Faculty Association and has served as President for the past 20 years keeping retirees informed and active on campus. Union Bank began its partnership with the Cerritos College Foundation in 1985 and continues to be well represented on the Foundation Board of Directors by Victor Villegas, Managing Director & Regional Manager, Central Orange County Region. The Union Bank Foundation, through its grants program, has supported the LINC (Leaders Involved in Creating Change) program to offer valuable academic resources and services to foster youth at Cerritos College; the Math Future Teacher Intern Program; and equipment and technology for the Veterans Resource Center. In addition, Union Bank supports the Foundation’s annual golf tournament fundraiser as a corporate sponsor. 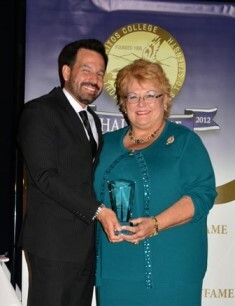 Victor was on hand to accept the Hall of Fame award on behalf of Union Bank. 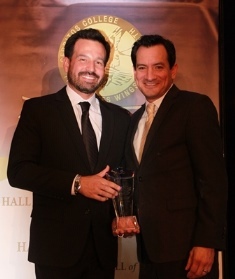 Assembly Member Anthony Rendon was elected to office in 2012. He represents the 63rd District. One of his legislative priorities is to work to ensure that no-cost publicly funded pre-school services for income-qualifying families and high-quality, low-cost public community colleges and universities are made available for all Californians. He was elected the 70th Speaker of the Assembly and assumed the position on March 7. 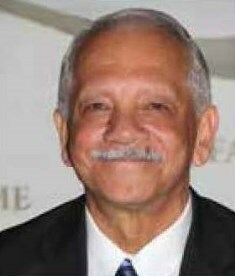 Rendon attended Cerritos College before earning his bachelor’s and master’s degrees from California State University, Fullerton. As a recipient of a National Endowment for the Humanities Fellowship, he earned his Ph.D. from the University of California, Riverside and completed his post-doctoral work at Boston University. Congratulations to the 2016 Hall of Fame inductees!